A team of faculty and students based in ASU’s Department of English has been awarded a Changemaker Central $1,500 Woodside Community Action Grant to launch Iron City Magazine. 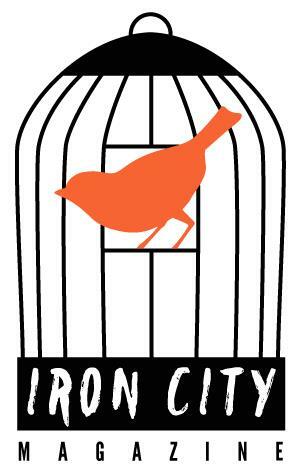 Iron City is an online and print journal devoted entirely to creative expressions (writing and art) by and for the incarcerated. The funding will help produce 300 high-quality, hard copies of the literary magazine. Cornelia “Corri” Wells, editor-in-chief. Lecturer in English. Director of English’s Prison Education Programming (PEP). Faculty advisor for the Prison Education Awareness Club (PEAC). Natalie Volin, managing editor. Undergraduate majoring in Technical Communication. Vice-President of PEAC. Volin is helping develop Iron Cityas part of her Barrett Honors thesis. Shavawn Berry, creative nonfiction editor. Instructor in English. Jessica Fletcher, fiction editor. Undergraduate majoring in English (Creative Writing) and Psychology. President of PEAC. Gary Garrison, fiction editor. Graduate student in Creative Writing. Jacqueline Balderrama, poetry editor. Graduate student in Creative Writing. Hector Cedillos, art editor. Undergraduate majoring in Art. ►For more information about the magazine, please contact Natalie Volin.